Our Michigan spinal cord injury lawyers represent clients who have suffered spinal cord injuries in all types of accident, injury, and medical malpractice cases. These include Michigan auto accidents, truck accidents, motorcycle accidents and from all other types of trauma. Other cases include falls from scaffolds and even diving injuries into swimming pools and lakes. Our spinal cord injury attorneys fully understand the causes and treatments for life-altering injuries. 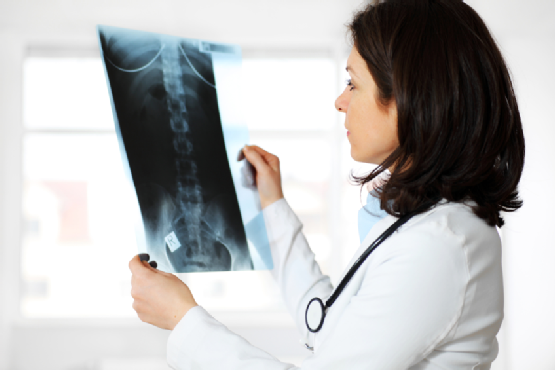 A spinal cord injury can also be the result of medical malpractice. An example would be an injury caused during a surgical procedure or the failure to treat a post-operative complication, like an epidural abscess. The delay in diagnosis and treatment of these conditions can cause permanent damage to the spinal cord. A spinal cord injury usually begins with a sudden, traumatic blow to the spine that fractures or dislocates vertebrae. The damage begins at the moment of injury when displaced bone fragments, disc material, or ligaments bruise or tear into spinal cord tissue. Most injuries to the spinal cord don't completely sever it. Instead, an injury is more likely to cause fractures and compression of the vertebrae, which then crush and destroy the axons, extensions of nerve cells that carry signals up and down the spinal cord between the brain and the rest of the body. Central cord syndrome: injury to the center of the spinal cord and damages nerves that carry signals from the brain to the spinal cord. This can result in the loss of fine motor skills, paralysis of the arms, and partial impairmentin the legs. It can also case bladder, bowel, and sexual dysfunction. Brown-Sequard Syndrome: injury to one side of the spinal cord. The injury to the victim varies based upon the severity and location of the damage. Tetraplegia: These injuries, which are the result of damage to the cervical spinal cord, are typically the most severe, producing varying degrees of paralysis of all limbs. Also referred to as quadrapelgia, this injury eliminates the ability to move below the site of the injury. Symptoms often include problems with bladder and bowel function, breathing, and and other routine functions. Paraplegia:This injury causes the loss of sensation and movement below the waist. and is caused bydamage to the thoracic spinal cord. Triplegia: This condition causes loss of sensation and movement in one arm and both legs. An injury to the spinal cord can damage a few, many, or almost all of these axons. Some injuries will allow almost complete recovery. Others will result in complete paralysis. Improved emergency care for people with spinal cord injuries and aggressive treatment and rehabilitation can minimize damage to the nervous system and even restore limited abilities. Respiratory complications are often an indication of the severity of spinal cord injury. About one-third of those with injury to the neck area will need help with breathing and require respiratory support. The steroid drug methylprednisolone appears to reduce the damage to nerve cells if it is given within the first 8 hours after injury. Spinal cord injuries are often the result of the intentional and unintentional acts of other people and corporations. When a spinal cord injury is due to someone else's negligence or an intentional act, the victim can file a lawsuit seeking money compensation for the injury. Spinal cord injuries resulting from Michigan car accident, motorcycle accident, truck accident, bicycle accident, or pedestrian accident, can file Michigan No-Fault Insurance claims for medical expenses, lost wages, and other benefits. These injuries are catastrophic and lead to enormous expenses for surgery, hospitalization, and lenghty rehabilitation therapy. Under the no-fault insurance laws, medical expenses are covered for the lifetime of the victim regardless of the amount. The law provides for unlimited medical expenses. Other No-fault insurance benefits can include attendant care services, home modifications, and even vehicle modifications. The insurance company may have to completely modify your home or apartment to accommodate the special needs caused by your spinal cord injury. This can include home additions, elevators, ramps, widened doorways, additional exits, and even new bathrooms. The insurance company may also have to modify an existing vehicle with lifts and other accommodations so the injured person can drive or be safely transpored by another person. Pain & Suffering - compensation for your pain and suffering from the time of the accident, to the present and even going into the future. Fright & Shock - including fright & shock just before and during the accident. Psychological Injuries -like PTSD & depression from the psychological trauma and the painful emotions of going through the recovery process. How much are Spinal Cord Lawsuit Settlements? The amount of a settlement or jury verdict in a case involving a spinal cord injury is often substantial because of the seriousness and permanency of the injury. There is no settlement calculator to determine the amount of a settlement and compensation varies from case to case depend on the facts of the particular lawsuit. The main factors factors used to calculate the settlement amount include the seriousness of the injury, the permanency of the injury, the effect of the injury on the victim's life, and the economic losses caused by the injury. These damages can be projected into the future over a person's lifetime. A vocational rehabilitation expert and an economist are often called upon to provide an analysis of the financial loss over the person's lifetime. In Michigan, the time limit (statute of limitations) for filing a lawsuit depends on how the injury or accident occurred. The deadline is based upon the type to case that caused the injury. For example, spinal injuries caused by motor vehicle accidents, slip and falls, and other types of general negligence typically have a three year deadline. Cases involving medical malpractice, doctor negligence, and nursing home neglect typically have a two year deadline. To learn more about the laws in Michigan personal injury accidents, you should request our FREE BOOK, "The Ultimate Guide To Injury Cases in Michigan" which includes The "Biggest Mistakes That Can Ruin Your Injury Case." Written by Michigan spinal cord injury lawyer Lawrence J. Buckfire, the book will explain the legal process to you in plain English. Request your free copy today. There are strict time limitations for filing personal injury claims in Michigan. If you miss a deadline, your claim will be lost forever. To avoid this severe consequence, you should contact the Michigan spinal cord injury lawyers at Buckfire & Buckfire, P.C. immediately. Our personal injury attorneys will start working on your case immediately, gathering the evidence and reviewing your medical records to prove and win your case. The Buckfire & Buckfire law firm does a great job of working alongside your doctors, nurses, therapists, or any other individuals that are helping you with your injury. Frankly, not all law firms have the expertise to work with spinal cord injury patients, but the Buckfire firm has years of experience..."
Who are the Best Michigan Spinal Cord Injury Lawyers? Warning: There are strict time deadlines for filing Michigan spinal cord injury lawsuits.